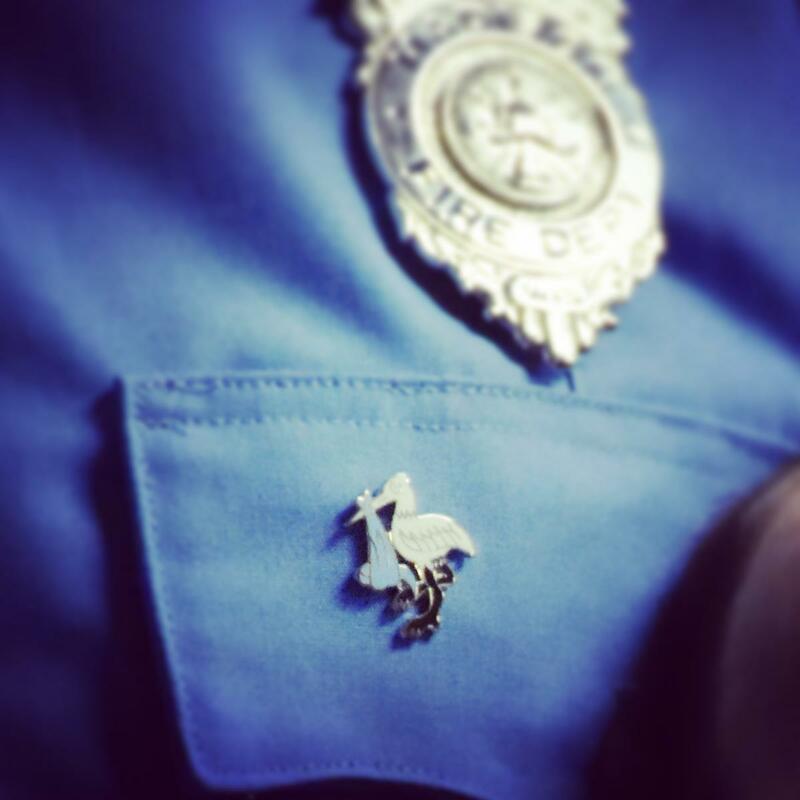 Four paramedics and eight EMTs will be awarded stork pins for helping deliver two newborn babies in recent days. Medic 3 and Engine Company 5 were sent to the intersection of East Washington Avenue and Highway 30 on Thursday, September 6, where a minivan was pulled over on the side of the road. The mother-to-be awaited help in the back of the minivan—her baby was on the way, and there was no time to make it to the hospital on their own. Paramedics and EMTs arrived at 9:26 p.m. and coached the patient through her final pushes. A healthy baby girl was born in the back of the minivan four minutes later, at 9:30 p.m. Medic 3 wrapped the newborn in warm blankets and handed her to her mother. Mother and child were transferred to the ambulance and taken to the hospital in good health. Just 12 hours later, the morning of Friday, September 7, Medic 10 and Ladder Company 8 were called to Waxwing Lane, where another baby was eager to enter the world. The expectant couple was on their way to the car, trying to get to the hospital, when they realized they weren't going to make it. “It’s coming!” the mother-to-be exclaimed as Medic 10 arrived. She stood by the back of the ambulance as responders gathered to help her through the birth. At 9:08 a.m., a baby boy was delivered into the caring hands of a MFD paramedic. Mother, father, and baby boy were brought into the ambulance and taken to the hospital in good condition.